The objective of our Proven Winners® Certified Landscape Professional program is to develop Proven Winners® landscape professional experts within specific regions. Our objective is to provide landscape professionals with a competitive business distinction as a skilled Proven Winners® plant expert, develop significant showcase projects and become a regional resource for the Proven Winners® brand. This program is intended as a collaboration with landscape professionals, developing their skills as a Proven Winners® expert who is skilled in the design, installation, maintenance and overall use of Proven Winners® plants. Interested in becoming a Proven Winners Certified Landscape Professional? Serving the greater San Francisco area for over 25 years, Metamorphosis Landscaping is a landscape design and construction firm specializing in quality residential projects of all sizes and scopes. With a reputation for innovation, technical excellence, quality and integrity, the company incorporates structural and technical items along with traditional landscape products to achieve unique, individually styled projects. Founder and owner, Michael Galli, has over 30 years experience in the field of landscape design and construction. His firm offers broad expertise consisting of plant selection and placement, fencing, drainage, decking, outdoor lighting, spa installation, masonry, water features, garden structures, automated irrigation and landscape design. With a vast knowledge of landscape products and engineering know-how, Metamorphosis Landscaping has effectively built a team of colleagues in the landscape industry - from soil engineers to outdoor lighting specialists to arborists - all collaborating to create superior gardens that complement the property’s architectural style. 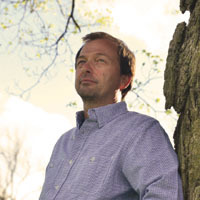 Doug Darga, an IPRA award-winner, garden designer and Gardens of Matter Park Director, represents more than 25 years of landscape, design, and beautification experience, adding over 30 years of study in natural resource and geology. 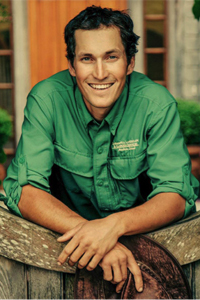 He studied at Ball State University and then began his own business in landscaping and garden structures. While wearing the hat of a growing business owner in garden design, Darga is also an employee and valuable resource for the City of Marion’s Garden/Parks Department. The Gardens of Matter Park is a designated Proven Winners Signature Garden. Darga became a Proven Winners Certified Landscape Professional … shortly after creating The Gardens of Matter Park, six acres of green landscapes, a variety of unique flower beds, and decorative water features enclosed by towering trees and ornamental gates. A lifelong resident of Indiana, Doug recognized the need for sustainability of this space and through a partnership with The Friends of the Gardens, a 501c3 nonprofit, formed to enhance support for The Gardens, provides opportunities for quality of life and educational events while raising awareness about this unique space for celebrating, learning, and healing within the 110-acres of Matter Park. 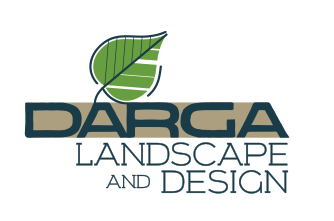 Opening Darga Landscape and Design was a natural progression from The Gardens to creating beautiful, livable gardens for home and business owners in central Indiana. Unique is at the heart of all Doug’s projects and his passion can be felt in the finished designs. Richard is a native of Lexington, KY and a graduate of the University of Kentucky and the University of Massachusetts in Amherst. He is a registered Landscape Architect and since 1995, has been creating the Garden known as "Springhouse", with its picturesque grounds and Garden Center specializing in unusual hardy garden plants. In addition to the retail business, Richard does landscape design, consultation and installation, and is now working with his wife, Debbie and their daughter Kayla, hosting weddings and events in their 90-year-old tobacco barn, known as "The Barn at Springhouse." When he's not working at Springhouse, you can find Richard gardening, (pruning is his favorite task), taking photos (He only has 48,500 pics on his iPhone), or traveling with his family (trying to visit as many National Parks as he can--Bryce Canyon, Sequoia and Mt. Rainier are his current favorites). Jack Barnwell is an award winning garden designer, author, and owner of C3 Gardens of Southwest Florida as well as Barnwell Gardens and Landscape based on the small Northern Michigan island of Mackinac. As owner of Barnwell Gardens and Landscape, Jack has over twenty years of experience creating breathtaking commercial and private garden displays on one of the world’s premier summer vacation destinations. His Florida venture is already gaining recognition as one of the most exciting new companies in the Naples/Marco Island area of Florida. Barnwell Gardens and Landscape is responsible for the annual planting and maintenance of thousands of flats of flowers. They handle complete landscape installations and specialize in innovative annual displays for garden beds, containers and window boxes. Because of the complete motor vehicle ban on Mackinac Island, all of Jack’s landscape construction must be done without the use of trucks and machinery. Plants and materials are brought to the Island by boat and moved on location by horse and bike power. Jack has taken this experience and customized it for the Southwest Florida climate and market. C3 Gardens also maintains many of their clients’ plantings by bicycle as they have found that this not only provides a more efficient means of transport but also significantly decreases their impact on the environment. Jack’s work has been featured in many publications including Landscape Management Magazine. His first book, An Introduction to the Gardens of Mackinac Island, was published in the spring of 2013. He is currently working on his second book, Container Garden Recipes for Porch, Pool and Patio. This second book will read like a cookbook and include many of his favorite garden designs. Arcadia Gardens, LLC is a family owned company (3 generations and counting!) serving the southwest corner of Michigan. Founded in 1990, the business has grown slowly over the years, providing custom designs, quality hardscape installation and thoughtful planting schemes. 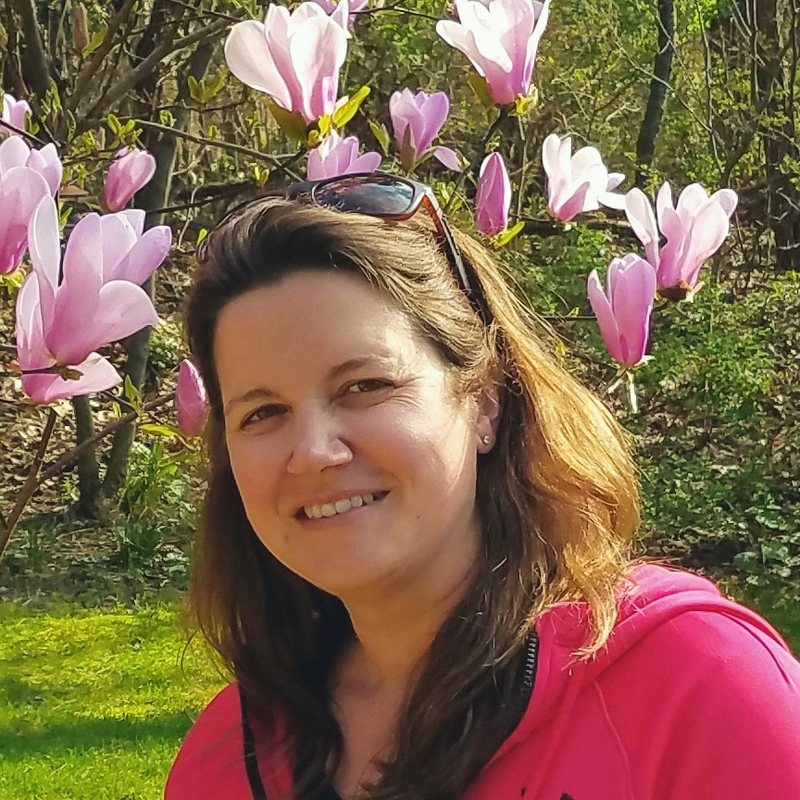 In 2000, Anna Brooks joined the company, adding a maintenance and fine gardening service division, utilizing her degree in horticulture from Michigan State University and her background in annual installation. In 2008, she and her husband Todd took the reins and developed an award winning, full service landscape design/build firm that is quickly approaching 30 years of serving Michigan’s Great Southwest! The team at Arcadia approaches each and every project with the same level of professionalism and attention, regardless of the scope of work. Projects range from simple front entries to entire estates, utilizing a variety of materials: natural stone, paving products, timber, coreten steel, native restoration and ornamental plantings. Their client base is 90% residential and 10% commercial. Anna has served multiple roles within APLD (Association of Landscape Designers- National Chapter Chair, Michigan Chapter Past President) and has obtained multiple industry certification through Michigan’s Nursery & Landscape’s CGIP program (Certified Landscape Designer, Certified Landscape Contractor, Certified Landscape Manager). She is an active volunteer in the community, enjoys camping and hiking with her family, and spends every free moment in her garden. Headquartered in Petoskey, Michigan, Vidosh North was founded by Donn Vidosh, Jr. in 2007. Vidosh North is a full service landscape service provider specializing in specimen plantings, masonry, lighting and irrigation. The company has been built on three generations of family landscape, site work and horticultural knowledge. They have set their goal to be Michigan's premiere landscape service provider by 2020. The company has been blessed to participate in some landmark and award-winning projects. With on-staff professional designers, masons, horticulturalists and landscape maintenance personnel, Vidosh North has the capability to complete anything from basic enhancements to intricate design and installations with the highest quality standards. Vidosh North is a design/build landscape company founded to help customers with every aspect of their home build, addition or remodel. They specialize in masonry, water features, irrigation, lighting, plantings, retaining walls, grading, flagstone and pavers. Zeke C. Cooper, PLA, ASLA, is a National Award-Winning Landscape Architect and Green Industry Expert based in Cherokee, North Carolina. 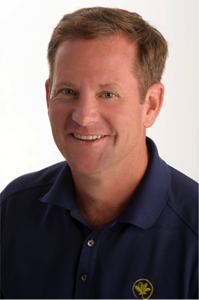 Over the course of his career, Zeke has been fortunate to be able to work and learn from notable individuals and companies, such as Tom Fazio Golf Course Designers, ValleyCrest Landscape Development, Barge Wagooner Sumner & Cannon, and Harrah's Cherokee Casino Resort, among others. Zeke's expertise includes: Creative, Sustainable Landscape Architecture & Design, Management & Organizational Structuring, Increasing Efficiency to Better Your Business and Innovative Landscape Management Plans. 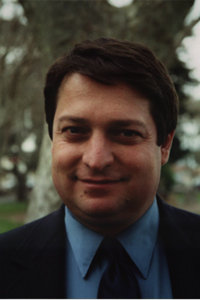 He was formerly the Grounds Manager & Landscape Architect at Harrah’s Cherokee Casino Resort, as well as a Partner & Principal at Cooper Stewart Landscape Architecture, with his longtime business partner and mentor, Curtis E. Stewart. After completing his Master of Landscape Architecture Degree from the University of Tennessee, Zeke was charged with the design and construction of all landscape elements during the 650 million dollar Harrah’s Cherokee Casino Resort expansion. Soon thereafter, a team led by Zeke completed all of the landscape design and construction elements for the new Harrah’s Cherokee Valley River Casino & Hotel. Under his leadership, the landscape of Harrah’s Cherokee Casino Resort has won numerous national awards from the National Association of Landscape Professionals (NALP) and the Professional Grounds Management Society (PGMS). In early 2018, Zeke joined DreamCatcher Hotels to assist with project and business development as Director of Business Development. 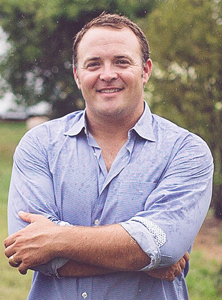 And, in June 2018, the National Association of Landscape Professionals (NALP) named Zeke Cooper as the recipient of the 2018 Young Entrepreneur of the Year Award. As a Native American (Cherokee), Zeke is very fortunate to work along side the Eastern Band of Cherokee Indians with many unique projects. These projects include those that better local community services, enhance economic development, but most importantly protect and preserve Cherokee culture. 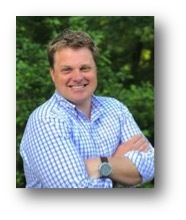 Zeke serves as a Board Member for the North Carolina American Society of Landscape Architects, the North Carolina Branch of the Professional Grounds Management Society and the Eastern Band Section of the North Carolina Community Foundation. Over the past few years, Zeke has worked on a variety of projects for high profile clients, been part of numerous National Award-Winning teams and projects, been invited to speak at Green Industry Events and become a thought leader and problem solver within the Green Industry. However, Zeke's greatest accomplishments are being a husband to Krysta and father to their beautiful little girl, Granby Hattan. 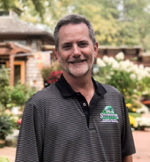 Jim Lawrence, owner of Providence Landscape Group, is a degreed horticulturalist with over twenty-five years of experience in the industry. Legendary customer service and a passion for perfection define Providence Landscape Group as the leader in grounds management and design for commercial properties and HOAs throughout the Charlotte area. Offering extensive options for creative design, Providence Landscape Group is Charlotte’s industry leader for commercial properties and developments landscaping. Specializing in grounds management, Providence designs and builds stunning outdoor settings for retail centers, country clubs, housing communities, corporate offices and private homes. 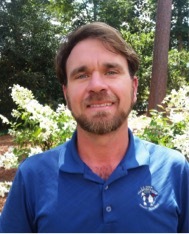 Rick Johnson is the Landscape Superintendent of the prestigious Country Club of Landfall, located in Wilmington, North Carolina. 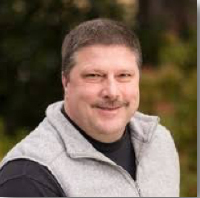 Rick is a degreed horticulturist with over 30 years experience in creating and maintaining beautiful commercial landscape displays. 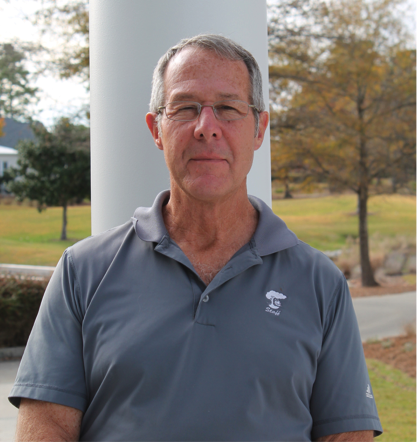 Before taking his position at the Country Club of Landfall in 2003, Rick was responsible for creating and maintaining commercial annual display gardens for apartment communities in the south. His passion for creating seasonal color display gardens has produced award-winning landscapes in Tennessee, Mississippi and Georgia. In addition to maintaining the grounds, Rick and his crew install and care for the annual displays, hanging baskets and planters at the Country Club of Landfall. Country Club of Landfall located in historic Wilmington, North Carolina. CCL is a private club owned by its members since 1999. The Club boasts many amenities and is located inside the gated community of Landfall. For 25 years, Landfall has been one of the premier gated communities in the southeast. Landfall encompasses over 2,200 acres of serene, coastal living along the Intracoastal Waterway just across from Wrightsville Beach. Chris Jones, Grounds Assistant Superintendent has been interested in Horticulture as long as he can recall. He has an Associate’s Degree in Horticulture and Landscape from Sandhills Community College and has been in the industry for over 15 years. He began his career in the greenhouse industry working at several local greenhouses and then did his internship at Homewood Nurseries in Raleigh, NC. After his degree he began working in the Greenhouse at Pinehurst and quickly moved up to the Assistant Superintendent’s Position of which he holds now. His responsibilities range from day to day maintenance practices and scheduling to project management and planning. 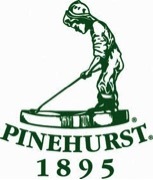 Pinehurst Resort and Country Club is a world-renowned Golf travel resort, commonly referred to as The Cradle of Golf. Encompassing 9 golf Courses, a recently opened short course, The Spa, a grand pool complex, 1 primary historic hotel known as The Carolina, 2 overflow hotels, and the recently opened Pinehurst Brewing Company. The Grounds Department maintains all the properties outside of the golf courses. The Department also has a 17,000 square foot Greenhouse in which they grow all their annual color for dozens of beds and pots throughout property. Curtis is the Director of Grounds and Assistant Director of Engineering at the GreenbrierResort in WSS West Virginia, where he has worked for over 27 years. Curtis began his career at the resort in the Engineering Department in 1991 and has filled many roles at the resort over the years and has always liked learning new things, so when he was given the opportunity in 2010 to take on the role as Director of Grounds at The Greenbrier, he ceased the moment. Always having an interest in horticulture, gardening and all things outdoors, the grounds directors’ position quickly grew into a passion for excellence that is showcased through the many gardens, lawns and flowerbeds on the property. In addition to the daily maintenance of the property, both grounds and engineering related, Curtis is also responsible for the design, acquisition, installation and care provided to the 200+ annual flower beds that are on display at the resort throughout the seasons. He also oversees the tree care program, consisting of a very large and diverse collection of mature trees located throughout the public lawns and golf courses. The Greenbrier’s Casino Club is America’s only private casino featuring table games, slot machines, simulcast racing and sports betting. Also on site is a world-renowned mineral spa and The Greenbrier Clinic, which has been practicing diagnostic medicine since 1948. The resort has multitude of pristine gardens on site, one of which is the North Garden, which received the designation as one of the select few Proven Winners Signature Gardens featured throughout the United States.